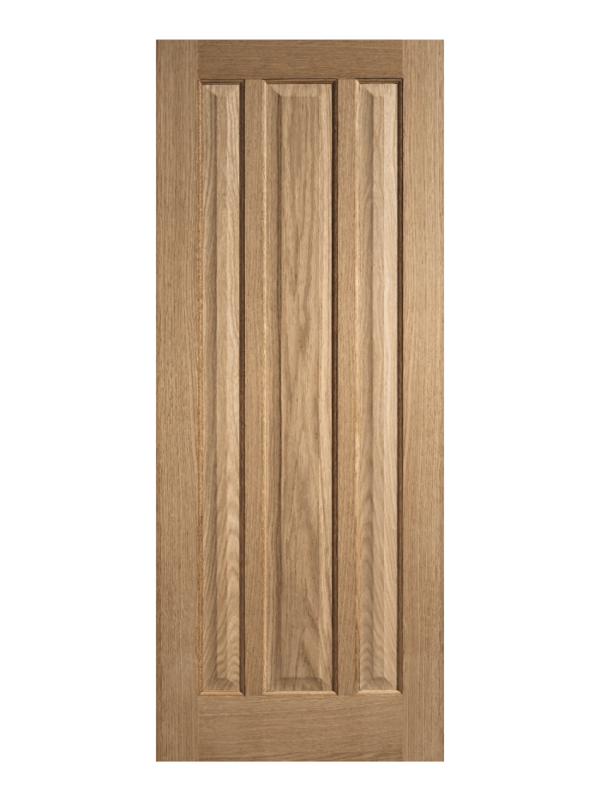 Oak Kilburn FD30 Fire Door version. Vertical clean lines, in a traditional Style. Three full length, raised panels. Engineered, hardwood, solid core (weight 43kg). Available as a standard (35mm) version and in a glazed variant too. Oak Kilburn FD30 Fire Door. 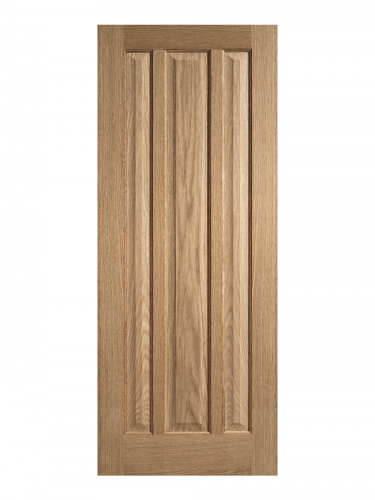 A solid internal door with accentuated vertical lines, which give it a traditional feel. Further this solid door is suitable for all areas of the home. Including dining room, living room, bedrooms and bathrooms. The Oak Kilburn has three full length, raised panels. And is an Un-finished, engineered door. Un-finished it is ready for your own choice of varnish or other treatment. It has an engineered, hardwood, solid core (weight 43kg) with two layers of 10 mm lippings all round. It comes with a manufacturer’s 10-year warranty. You can make adjustments on all sides up to 3mm to make it a perfect fit for new and existing door frames. Hinges and door handles are not included. We recommend a minimum of four hinges for this door. This Fire Door achieves a fire safety rating of 30 minutes for areas requiring a greater level of protection. Specialist advice should be sought on which areas require fire doors. Also, your architect or local building control officer will offer advice.